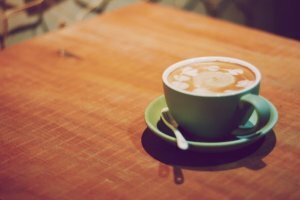 Choosing the right coffee machines for your workplace can take a lot more time than you might expect. Is a bean to cup machine more attractive than the capsule, sachet and in-cup delivery systems offering Britain’s favourite brands – like Lavazza’ FLAVIA series, backed by Taylors’ of Harrogate and Lavazza and Galaxy hot chocolate, or like KLIX’s range including PG Tips and Nescafe coffees? What’s the size of your company, and how many servings will need to be made by your workplace coffee machines every day? Should these be free to employees or would you prefer a vending machine styled solution? Because this can be a challenge, we created a simple series of questions and guidelines for the answers for your business – which you can find here. However, there’s another option if you’re not sure – and it can also help if you know exactly what you want. With over a quarter of a century’s experience in the refreshment industry, working with all major coffee machine manufacturers and serving businesses in all industry sectors and at all sizes, we’ve got the knowledge base needed to make matching your machine to your workplace simple – and we can arrange to deliver, install, and regularly resupply your chosen machine once you have it. You can fill out our enquiry form to the left, email [email protected], or call 0800 3357 500 and we’ll be happy to help you. Whatever your requirements, we can find the right solution for you.